The HyCo floor: the ideal coating system for professional livestock farming. Composed with care for maximum durability and chemical resistance. Important core values at Mesa Coatings, so you can count on the highest possible quality. 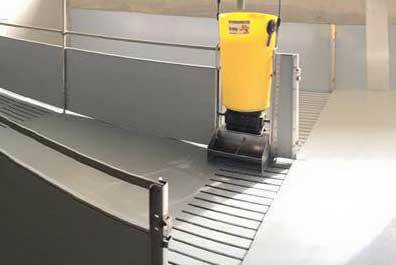 The HyCo floor is especially suitable for sow, fattening and poultry farms. With 4 important advantages, including better chemical resistance than existing coating systems for the professional sector. We use a special resin to ensure that the floor is more flexible, so that cracks are a thing of the past with the HyCo floor. 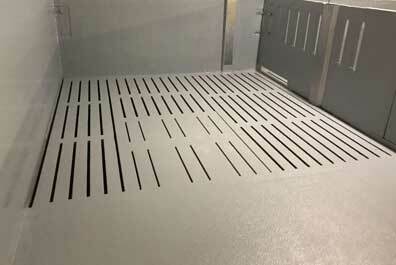 We developed the HyCo floor especially for companies with sows, fattening pigs and poultry farms. To this end, the coating system contains a number of specific important properties for professional use. We know the strict requirements these floor coatings have to meet, so that we could use this as a basis for their development. With the HyCo floor we use a coating system that seals the pores of the concrete. This prevents the penetration of harmful bacteria and viruses into this material. And we make it easier to clean the walls and floor. You will benefit from conserving water and saving on labour costs, because it is a lot less intensive to maintain. 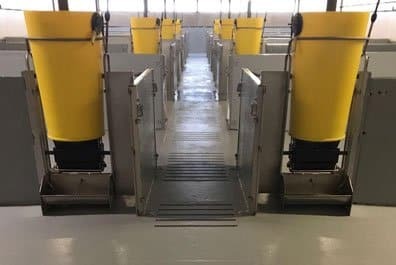 Our Mesa Coatings HyCo floor is not the first floor for professional livestock farming. However, we have looked closely at the properties of these floors in order to improve their quality considerably. We focused on the risk of cracks, for example, which could arise over time. Bacteria and viruses can migrate into the material from the substrate. That is a thing of the past with our HyCo floor. The material is flexible, so that the substrate is no longer a problem. We use a special resin. This allows us to seal the floor and the walls professionally. We call this eye for detail, which distinguishes our coating systems from various alternatives. Moreover, sustainability is our top priority. Both for the HyCo floor and for our other floor systems. With our extensive expertise, we ensure that you can use the floor for professional livestock farming in a sustainable way. That important focus has made us the international market leader in this field. Want to know more about our HyCo systems for your professional animal husbandry? Please contact us, we will be happy to tell you more about it.